Call Me Mother, a remake of the Japanese drama, Mother, explores what it means to be a mother, whether that mother is adoptive, natural, nurturing or abusive. 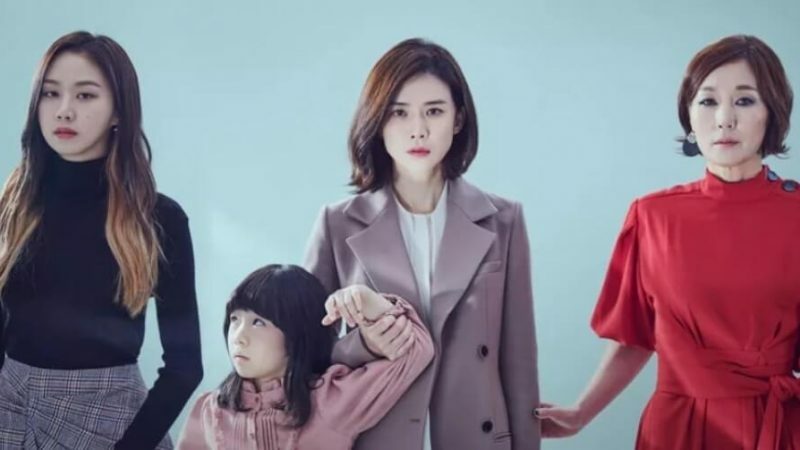 Lee Bo Young plays a woman who never wanted to be a mother, but is compelled to act when she sees a young girl being abused. Adopted by a famous actress, Lee’s character can never forget that she too was abandoned at the gates of an orphanage. Without thinking, she rescues the girl and then spends most of the series running away with her, upending her solitary yet satisfying life for life on the run. Lee’s character has never felt like a member of her adoptive family and some of the emotional loyalty she cannot muster for her adoptive family is realized in her efforts to protect the child she rescues. Those efforts lead her to reassess her relationship with her birth mother, her adoptive mother and her sisters. It’s a heart-wrenching drama with fine acting that earned it a place at the Cannes International Series Festival in April. Go Hye Ran, played by Kim Nam Joo, is a newscaster more worried about the eclipse of her career than the demise of her marriage. Born poor and criticized relentlessly by her mother, she’ll do whatever it takes to hold the spotlight, which provides her with a tenuous sense of self-worth. She’s desperate for a career-saving interview with an international golf star only to discover he’s her former lover and he wants her back, whatever it takes. When he dies in what looks like an accident, it’s suspicious. Did she kill him? Was it her husband, played by Ji Jin Hee, or the golf star’s betrayed wife, played by Jeon Hye Jin? The drama’s script cleverly keeps changing perspectives, so that a viewer’s opinion of a character in one episode of Misty might be changed by the next. Is Go Hye Ran selfish? Brilliant? Desperate? Vulnerable? Maybe all of the above. The script is riveting until the very end when the real culprit is revealed and Go Hye Ran realizes that her priorities betrayed her. At the start of My Mister, both main characters, played by IU and Lee Sun Gyun, have resigned themselves to a future in which others treat them badly. Every night Lee’s character Park Dong Hoon and his brothers drink to forget their troubles, but drowning their sorrows in soju means nothing much changes in their lives. After career failures, Park’s middle-aged brothers have moved back into their mother’s house and pin the family’s hopes on his career. He does have impressive career skills but his marriage is a sham and he hides his misery in booze and denial. Still, Park is very likeable, devoted to family and friends, kind to his colleagues and loyal to the wife he suspects is cheating on him. When people treat him poorly, he shuffles it off, thinking it’s best not to make a scene. Enter Li Ji An, played brilliantly by IU. She has nothing more to lose and not much to live for. Her inability to pay off her mother’s debts means she is regularly brutalized by loan sharks. She must care for her disabled grandmother on her own. She’s accepted that her life will be a long exercise in misery and she must do whatever it takes to get by. Lee Sun Gyun is really good in this understated role and IU, who seems fragile at the happiest of times, so effectively plays someone crippled by fate that viewers can sympathize with her character’s worst intentions. When Park hires her to be a contract worker, it changes both their lives. Although Something in the Rain is a romance, and a very appealing one, it’s really about how one woman grows up and stands up to those who don’t always have her best interests at heart. In this drama Son Ye Jin plays Yoon Jin Ah, a 30-ish coffee company manager who still lives with her family. She lets her parents tell her what to do. She lets her unhinged ex talk her into dangerous situations. She looks the other way when men in the office harass her. Although the trials of Yoon Jin Ah’s relationship move the story along, the MeToo movement also plays a part. Yoon Jin Ah ignores workplace harassment until she can’t stay silent any longer. To survive emotionally and find love, she cannot let her mother continue to belittle her choices. Throughout the drama Yoon Jin Ah keeps saying she’s sorry because she feels responsible for making everything right and everyone happy, but it’s unproductive to always feel sorry. Sometimes she should be angry. Fortunately, Yoon Jin Ah changes. She learns to stand up for herself, demand respect, and find happiness. If you have not seen any of these dramas, check them out.